Red Sea Foundation C is a component of the Red Sea Reef Foundation program for healthy and vibrant corals. Red Sea Foundation C is a blend of magnesium salts in the proper ratio for seawater. 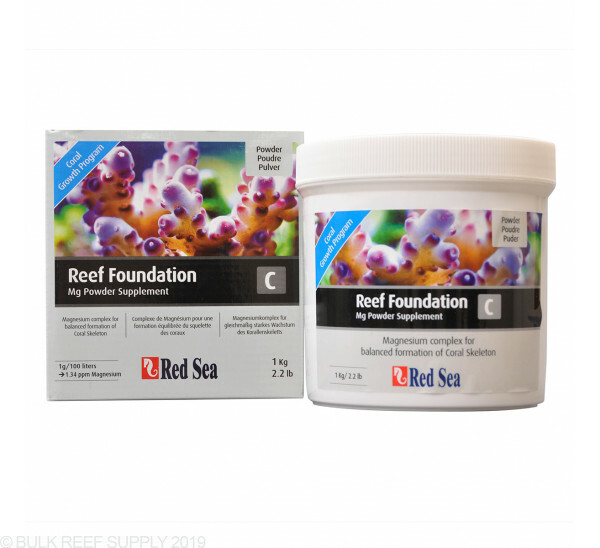 Red Sea's dry magnesium additive adds magnesium in proper chloride/sulfate proportions when used with the Red Sea Reef Foundation System. Once mixed into solution: 1 mL liquid supplement will raise the Magnesium level of 25 gallons by 1 ppm. Slowly added the powder to a container filled with 1.7 liters of RODI and a powerhead. It immediately formed a very cloudy solution that did not clear until I left it overnight. Some sort of flocks or settlement remains at the bottom and I tried once more to heat the mixture up while being agitated for hours. No success. Contacted Red Sea, they said the flocks are normal. This is far from a fix as the solution settles to be diluted at the top and concentrated at the bottom. I practically use Red Sea products for everything and this is my first negative encounter where I could not find a solution. With a google search, many others are having the same problems. I have tried a few times to try and get the mag to fully dissolve. First with how the instuctions state and then bought another container and tried with boiling water with the same results. I emailed redsea and told them the issues I am having. They said that it is normal to have some undissolved powder and that it will not harm any livestock in the tank. I am going to try and filter out the residual powder and see how that goes. Either way not happy with the mag. The cal and alk dissolve fully.. I've been using the red sea products for a year now and have been impressed. I don't have the same issues as Jose but i dont use an auto dosing system since mag is pretty stable in my tank. I just mix with rodi water when i need to boost the levels. I typically mix 28 grams in about 1/3rd gallon of water, mix for a few seconds then add to my sump. I wonder if Jose is using a much higher concentration or salted water. Personally I love the red sea line for a number of reasons I won't get into. The liquids are convenient, but I also like to save my reefing budget for more coral, so the powdered versions are a win for me. 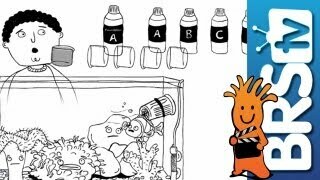 They mix to the same concentration as the liquid bottles, but you can make multiple bottles from each jar of powder. For this magnesium, 1 powder jar will make 3 and 1/3 of the 500 mL bottles. That makes it about 1/3 the price. Couple tips: do invest in a decent scale that will weigh in grams if you do not have one, easier and more accurate that way. Also, I don't know what happened with Jose's solution, but I have not had the same issue. When I mix any kind of stock solutions I use RO/DI or distilled and heat the water up to about 80 or 90 F by standing it in a sink full of hot water for a bit. Then I add the powder to the water slowly while stirring constantly. Never had an issue. I recently purchased the powder supplement to create stock solution for auto dosing. After several days of trying to fully dissolve in a bucket with a maxijet and heater I gave up. I would not recommend this is you intend to use an auto doser as you would have to agitate before dosing. I called Red Sea customer support and they were not much help.